I’m Out of a Job…and I Kind of Like It! Our kids got us an iRobot Roomba last year, and I have to tell you that I am working that little robot every day. Great gift, especially during this past Thanksgiving week with 17 people living in our house for six days! My little buddy does a much better job and is much faster than I ever was. This is how my mom must have felt when she stepped up from a wringer washing machine to an automatic. Where have you been all my life? Housework is mundane but so are many routine jobs performed by workers every day in our society. The prediction is that in tomorrow’s workplace, these routine jobs will be assumed by machines, leaving more complicated tasks to humans with interpersonal skills and strategic thinking. As a matter of fact, the number might be that for every one job eliminated by the turn of a wrench, four times as many jobs will be created. There will be no shortage of work. The name of those jobs? I don’t know nor does anyone else. The key here is to create options and choices to remain employable rather than just be employed. The artificial intelligence revolution will involve humans and machines working hand-in-hand, side-by-side with results that will be the best of both worlds. The difference today from previous generations is that the pace of change is much faster requiring a different skill set. And what was top of my Christmas gift list for 2018? 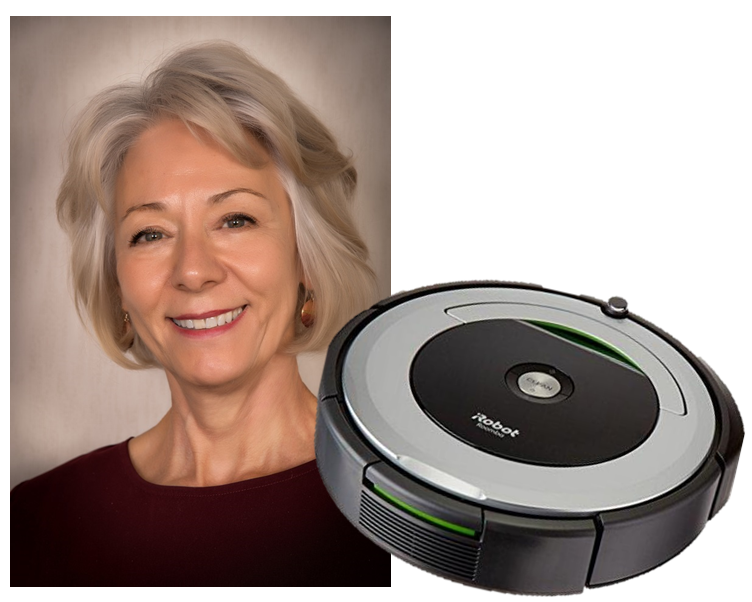 You guessed it: the iRobot Scooba floor scrubbing robot that remains out of stock and nobody knows when it will be available. But hopefully in the near future we can buy a robot that will mop the floors after vacuuming. YES!